Available today are multi-threaded Opus, FAAC and Core Audio codec drivers for fre:ac 1.1 Alpha. These components, dubbed SuperFast codecs, use multiple codec instances in parallel to provide faster processing on systems with multiple CPU cores. The new technology enables significant speed-ups for conversions to single output files and in situations where the number of available CPU threads is higher than the number of tracks to convert. It works with unmodified codecs and will later be rolled-out to other codecs like LAME, FDK-AAC and Speex. 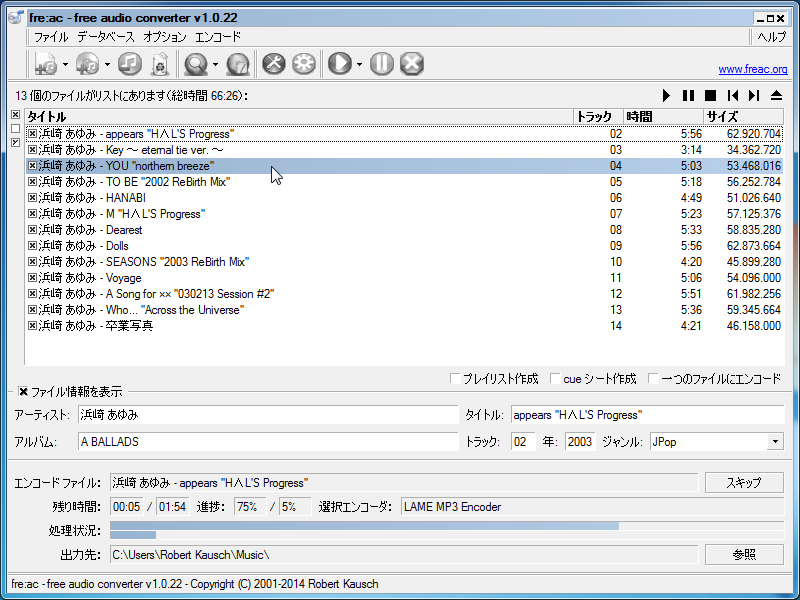 A preview release of fre:ac with SuperFast Opus, FAAC and Core Audio codec drivers is available at GitHub. The multi-threaded components will replace the regular ones in a future fre:ac 1.1 alpha or beta release. To learn more about the technical details behind multi-threaded codec drivers, head over to the blog post on Multithreaded Opus and AAC encoding. fre:ac v1.1 Alpha 20170729 has been released and is now available for download! This constitutes the latest snapshot preview of continued development towards fre:ac 1.1. Due to many users being confused by the previous naming of the two release series, the snapshot releases will be called 1.1 Alpha from now on. The new release updates the FAAC/FAAD2 and Opus codecs to their latest versions and fixes instabilities on macOS and Linux. Upgrading to the 20170902 release is strongly recommended if you are using an earlier snapshot version. Please be aware, however, that this is a preview release and not meant for daily work. Please report issues on the SourceForge bug tracker or by email to support@freac.org. fre:ac version 1.0.29 has been released on 31st August 2017. The new release now uses the mpg123 library for more reliable MP3 decoding, updates the FAAC/FAAD2 codec to the latest version and fixes several minor issues. Upgrading to fre:ac v1.0.29 is recommended to all users of earlier versions. You can download it at the downloads section of this site. The fre:ac code repositories have been migrated from the aging CVS to contemporary Git repositories. The new repositories are hosted at GitHub (fre:ac, BoCA) and mirrored at SourceForge (fre:ac, BoCA). Full history of commits is preserved in the new repositories. Feel free to fork the code and send pull requests! The previous CVS repositories will be available for one more week and then be taken offline.